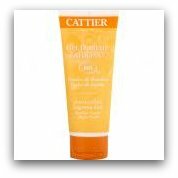 The following body washes gently cleanse and provide nutrition for your skin leaving it refreshed, smooth and glowing. 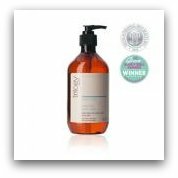 Trilogy Botanical Body Wash This gentle body cleanser is derived from coconut and blended with natural extracts and essential oils. Kawa Kawa extract stimulates and refreshes skin, Indian Alma Fruit extract rejuvenates skin cells, Lavender heals and restores and Chamomile soothes and calms. Trilogy Botanical Body Wash also has theraputic aroma properties. Frankinsence and Rose Geranium are known for reviving your body and mind making this a wonderful product to use with your morning shower. Beautiful clean skin and some aromatherapy to kick start your day, what more could you ask for! Pangea Organic Canadian Pine with White Sage Shower Gel If you want more bang for buck this is the body wash for you. Thick and concentrated it is made to last and is the purest most organic shower gel possible. Containing Pine, White Sage, Extra Virgin Olive Oil, Hemp, Coconut and Jojoba you get everything your skin needs in a luxurious, rich lather Pangea products are 100% plant based and are free fromGmo's, Parabens, Petroleum Products, Paraffins and other harmul synthetic ingredients. red flower -japan-yuzu mimosa sia algae wash Puifies and hydrates skin while removing impurities and toxins from deep within pores. Sea Algea is nutrient rich so your skin is not only cleansed but it also gets a nutritional boost. Yuzu is a citrus oil that deeply cleanses and at the same time heals dry, chapped skin. Pure Moss Oil helps with water retention keeping your skin hydrated. This body wash also contains Pink grapefruit and Ylang Ylang. red flower products are free of Dyes, Parabens, Sulfates, Petrochemicals, and Synthetic Fragrances. Patyka Absolis Body Wash-Neroli For all skin types this body wash is suitable for even the most sensitive skin. Winner of Beyond Beauty Paris Innovative Brand for 2011, this new skin care line is used by Lady Ga Ga, Gwyneth Paltrow and Leanne Rymes. 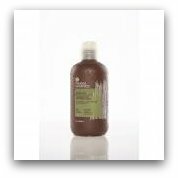 Containing Neroli Patyka Absolis Body Wash soothes, tones and restores elasticity and has a yummy sweet aroma. Patyka donates a percentage of their sales to One for the Planet. Add one of these natural body washes to your beauty regimen and see the difference it makes to your skin.